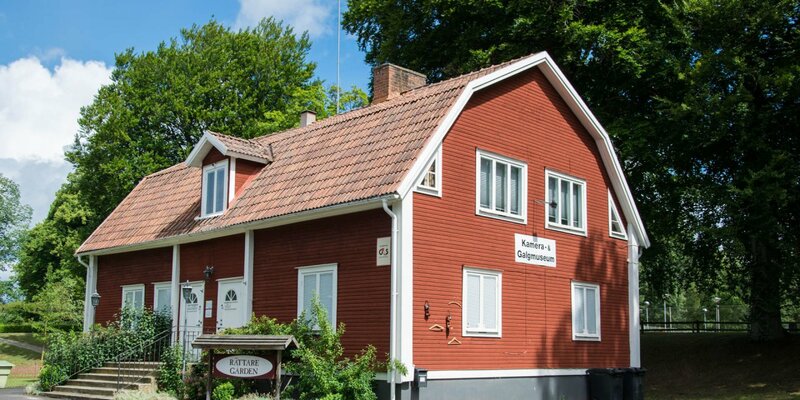 The Stenmuseum i Vilshult shows the history of the earlier mining of black granite in the region around Vilshult, a small village located about 10 kilometers north of Olofström. 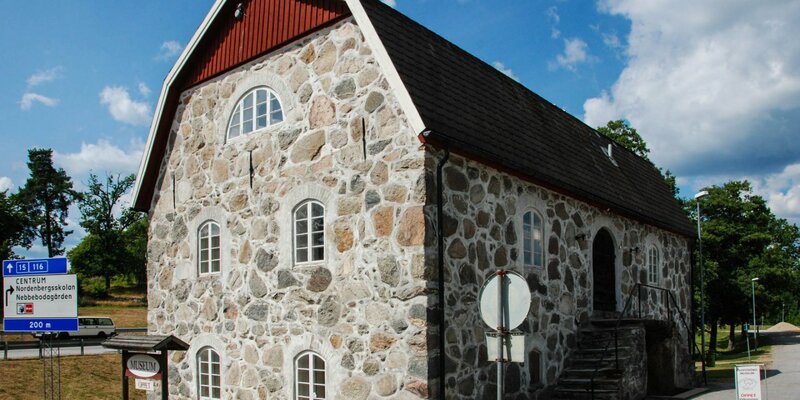 On a former farm a little outside the village, the Stone Museum Vilshult is located in a large brick barn from the 19th century. 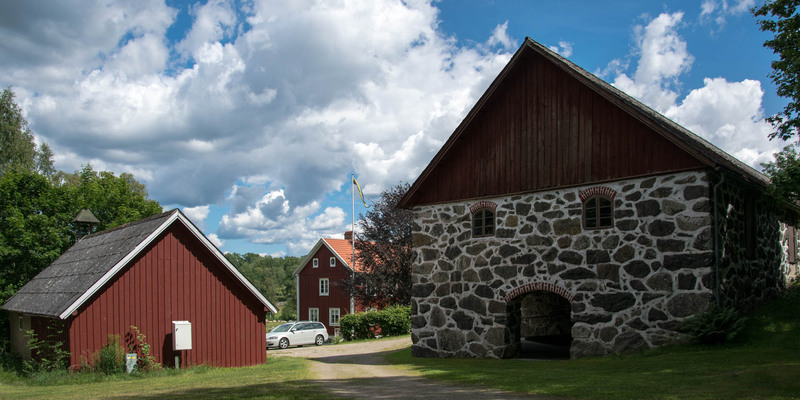 The imposing 63-meter-long building is considered one of the largest farm buildings made of stones of its time in the province of Blekinge. The always accessible part of the museum is located behind an open archway on the gable side of the building facing the road. Several large displays and individual stone blocks inform about the history of the quarries around Vilshult. Inside the building is another part of the museum. There, the practical part of stone mining and processing using all sorts of old tools, equipments and machines is shown. 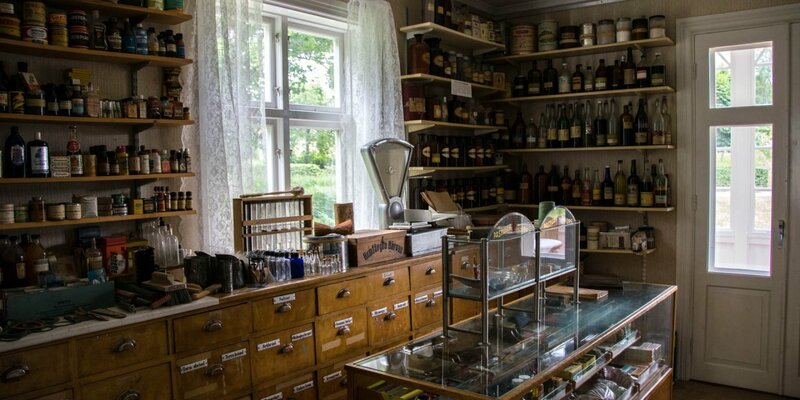 You can also see some photographs and old records. The mining of granite had a relatively short, but very intense history in the region. From about 1890 to the 1950s there were 40 quarries along a narrow mountain range near Vilshult, which mined one of the world's finest deposits of black granite, also called diabase.